What has your experience been like with the “Zestimate”? Has it been accurate and useful to you? Tell us HERE! 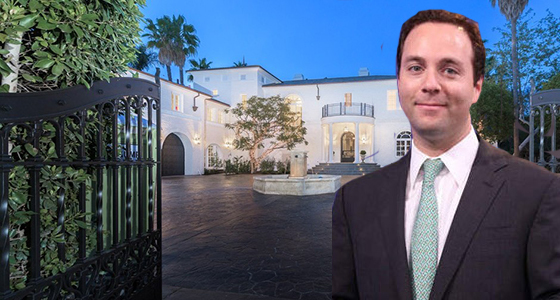 Seattle-based Zillow CEO Spencer Rascoff was the buyer of one of the most expensive homes sold in Los Angeles in the first half of 2016, The Real Deal has learned. It was much pricier, in fact, than his company’s home valuing algorithm Zestimates predicted it would be. In late April, Raskoff purchased a six-bedroom, nine-bathroom estate in Brentwood for almost $20 million. Zillow’s value for the 12,732-square-foot property was significantly less: $18.4 million. The traditional home was renovated by Ken Ungar. The property is gated and tucked behind hedges. It includes a theater with stadium seating, fitness studios, a wine cellar, a two-bedroom guest house and a large rolling lawn. The Brentwood buy doesn’t appear to be connected to an expansion of Zillow, which is headquartered in Seattle. The listing brokers on the sale were Mauricio Umansky and Santiago Arana of the Agency. In February, Raskoff sold his Seattle home for $1.1 million. He sold at a profit, after purchasing the property for only $768,500. Yet that house sold for roughly 40 percent less than Zillow’s Zestimate of $1.75 million. Written by James Suarez on August 1, 2016 . Posted in Did You Know?